KIEV, Ukraine -- A treasure trove of Dutch art stolen from a provincial Dutch museum nearly 11 years ago has been linked to a nationalist militia in Ukraine, the museum has announced. 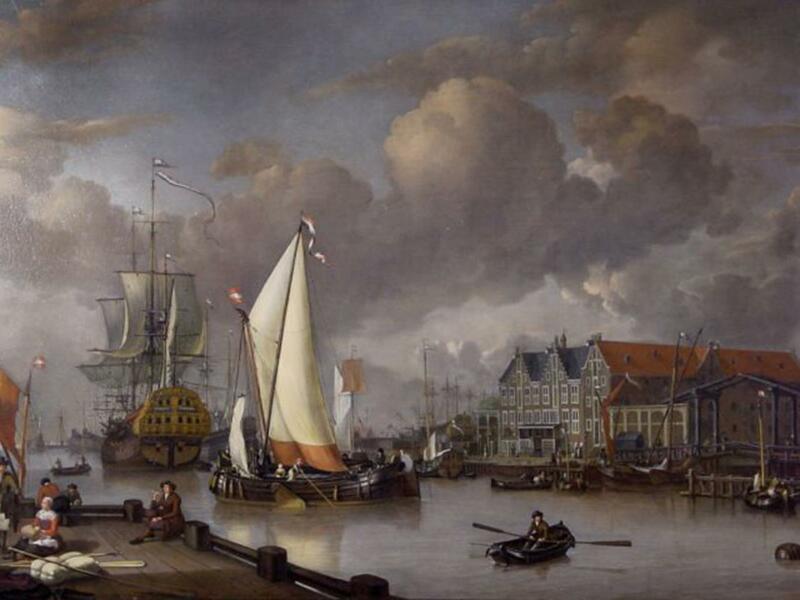 Jan Claesz Rietschoof’s ‘View of Oostereiland’, one of the paintings stolen from the Westfries Museum. The Westfries Museum in the northern town of Hoorn said that the 24 paintings taken in a burglary on 9 January 2005, along with 70 pieces of silverware are now being offered for sale in Ukraine. The museum, which wants to deter potential buyers, had an important message for the militia, which it said sought a €5 million ($5.45 million) “finder’s fee” for the art: It is nowhere near as valuable as you think. Two representatives claiming to represent a militia of the Organisation of Ukrainian Nationalists contacted the Dutch Embassy in Kiev in July claiming to have the complete collection of stolen paintings. They showed a photo of one of the paintings alongside a current Ukrainian newspaper to back up their claim. The town of Hoorn then used a Dutch expert in stolen art to make contact with the group and offer compensation if the art were returned. At that point, the intermediaries said they wouldn’t settle for less than €5m (£3.6m). The art expert said that in their current condition the 24 paintings would be worth a combined total of no more than €500,000 ($544,603). The paintings include landscapes, naval scenes, and still life works, almost all of them dating back to the 17th century. In a statement, the museum alleged that the case involves “Ukrainian art criminals who have contacts on the highest political levels” in the country. The Dutch Foreign Minister, Bert Koenders, told national broadcaster NOS he had been in contact with Ukrainian political leaders about the case. “We’ve brought this up at the highest level with the Ukrainians,” he said of the stolen art.